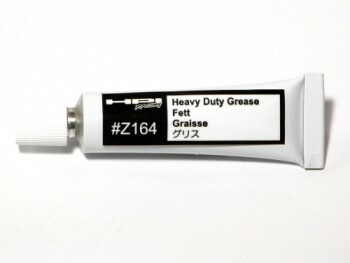 This is HPI Heavy Weight Grease. Can be used on Gears and Differentials. COMMENTS: Can be used on any kits where gears or differentials are used. This grease is good for its intended purpose, this is what is in the manual to use when you rebuild a diff. but most people now a days use silicon oil. oil works great if your trying to tune your diffs, but for just bashing i find the grease works better for me.